Camptown Races by Star Athena featuring Primo Sport is ready to go! 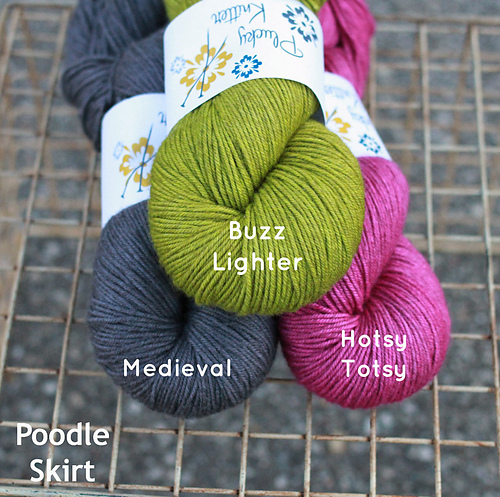 Kits are going up for sale this Sunday evening, August 26th at 8:00 p.m. Eastern right here on the Plucky Blog. There will be ten different kits available and all ten kits will be available in either Primo Sport or the brand new Plucky Traveler. Please note: If you are purchasing a kit on Primo Sport the colors will be a bit more intense than those shown on Traveler. I cannot emphasize enough that Traveler takes the dye differently (more heathered, subtle, muted). That being said, I think we have some super fun kits put together that will look great on both bases. Kits will be $89 and include yarn, pattern and shipping (both domestic and international). The pattern will be available via Ravelry download (a coupon will be provided). 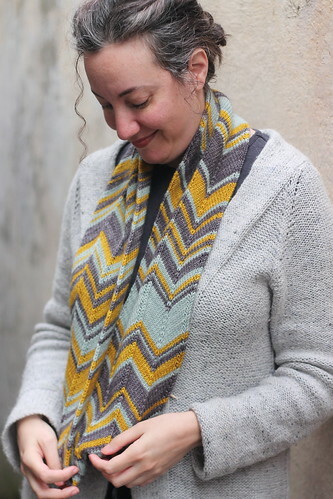 Camptown Races is a three-color cowl with two different striping options. It’s worked in the round as a tube. There are loops of yarn looping in rounds around a large loop… like a racetrack. Length, Circumference: 51 inches (129.5 cm) around. 6 inches (15 cm) wide. Length is adjustable. 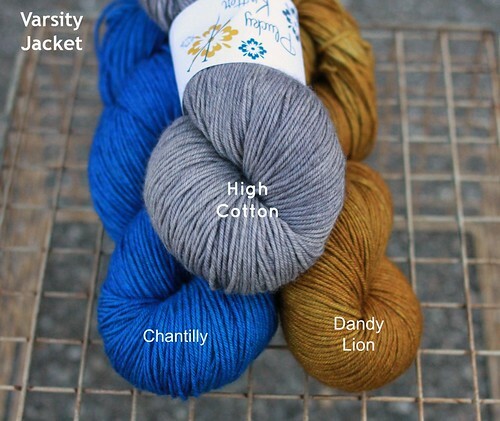 Yarn: Sport-weight yarn in three colors that give you proper gauge. Sample shown: The Plucky Knitter Primo Sport [75% Extra Fine ItalianMerino Wool, 20% Cashmere, 5% Nylon; 275yd per 100 gram skein]; colors: MC: Medieval (grey), CC1: Edwardian (blue), CC2: Princess Phone (yellow): Less than 1 skein each. 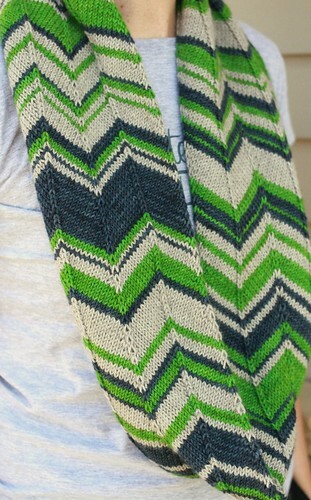 Large Chevron Cowl uses approx 594 yards and 216 grams of yarn in total. The striped version used approx 3 grams per stripe. Needles: 1 set US #4/3.5mm 32” circular needle (magic loop) OR two 24” circulars OR 8” circular needle OR double pointed needles, or size to get gauge. Gauge: 20 sts/32 rows = 4″ in stockinette st. NOTE: Gauge is not critical. NOTES: This medium-level pattern is worked in the round with three colors. It includes stripes and/or chevrons (your choice). The cowl starts with a provisional cast on, is a knit in the round as a tube, then grafted together at the end. If you prefer, you may do a traditional cast on and sew the cowl together at the end. Just a couple of the kit options available. Last, but most certainly not least, Thank you. Thank you from the very bottom of my heart for the enthusiasm and support you have shown for Plucky. We are a very small, family run business and it is our sincere privilege to serve you. 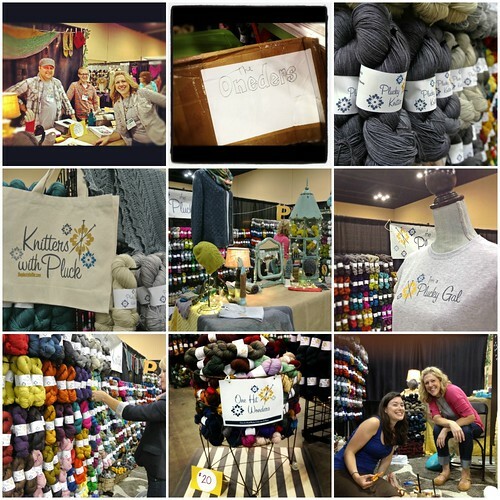 It is never far from my mind that there are many places you can go to fill your yarn-y needs so please know how much I (we) treasure your loyalty, friendship and support and will never cease to work hard to bring you unique bases, colors and, well, work hard to grant any yarn-y wishes we can! https://www.thepluckyknitter.com/wp-content/uploads/2017/05/new_small_logo@2x.png 0 0 Sarah https://www.thepluckyknitter.com/wp-content/uploads/2017/05/new_small_logo@2x.png Sarah2012-08-25 17:55:162012-08-25 17:55:16Camptown Races! 1. 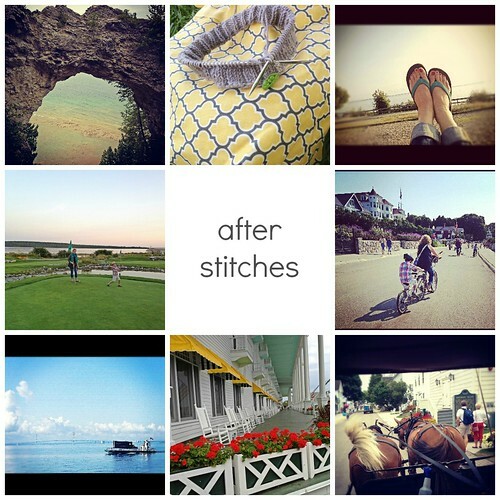 Stitches was great! Fantastic fun to see some old knitting friends and make new ones. 2. I have been overcome with a fresh wave of inspiration and a need to try new things. Kate was so sweet and let me try on her cute hooded vest and I immediately fell in love. I’m swatching now (using the brand spankin’ new Plucky Bulky!) and gearing up for my first bottom-up knit (I’ve been a dyed in the wool – no pun intended – fan of top-down knits forever). 3. Olga’s Aranami (there was a test knit at the booth) was a huge hit. I have a feeling we are going to be seeing a lot of Aranami’s knit up soon. 4. Lonesome Highway was, I think, the favorite gray of the weekend. So many people walked away with that as their gray of choice. 5. Color Affection. So many color affection fans stopped by the booth to show their FO’s and to get kits to make new versions. What fun to see all the CA’s out in the wild and to help others put together their very own custom CA kit. 6. Truly (really!) looking forward to being back at the studio bright and early tomorrow morning. The creative juices are flowing again, have emails to send, yarn to ship and a sneak-update to have! Which, brings me to….. Thought it would be great to kick off the week with a very festive ‘Even if you couldn’t make it to Stitches you’ll feel like you were there’ shop update. The update will be full of many of your favorites as well the new Plucky Tee’s, Knitters With Plucky totes and, back by popular demand, the Plucky knitter ruler/needle gauge…. and free shipping too! The etsy shop update will be a sneak-update and, begin tomorrow morning, Monday, August 20th around 10:00 a.m. Eastern and go throughout the day. As per usual, I will keep you updated as to the goings on of the update (beginning, end, breaks, etc.) in the Plucky group on Ravelry and the Plucky Facebook page. It’s great to be back. Wishing you a great day and a lovely week ahead.